WHO DO I CALL FOR WHAT? We get this question a lot. Bicknell Racing Products is made up of 3 separate divisions. The list below will help identify who to contact. 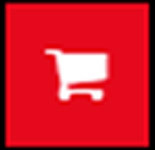 CAN I ORDER A CAR DIRECT FROM THE RETAIL STORES? No. All car orders must placed with either the Factory or with one of our authorized dealers located across Canada and the Northeast United States. A full list of our dealers can be noted under the dealers tab on our website. CAN I PURCHASE PARTS ONLINE? Yes!! All of the products in our catalogue, or parts found online can be purchased through our online store. 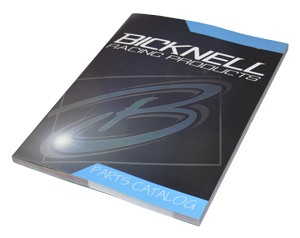 Bicknell Racing Products carries a large selection of parts and accessories with many orders shipped complete next business day. Simply create and account for either of our retail locations and get shopping! WHO DO I CALL FOR SET-UP HELP? Bicknell Racing products Factory staff is available year round for set-up help. They can help with chassis set-up, shock advise, as well as specific track set-up assistance. Our staff is knowledge and friendly, and always willing to help you find your way to victory lane. 905-685-4291. I AM LOOKING TO PURCHASE A USED CHASSIS AND REQUIRE MORE INFORMATION? No, we do not sell used cars. We will gladly help get the word out about customers that may be selling their cars, but do not sell used cars. If you are looking for a used car, check out our used car page. You may just find what you are looking for!